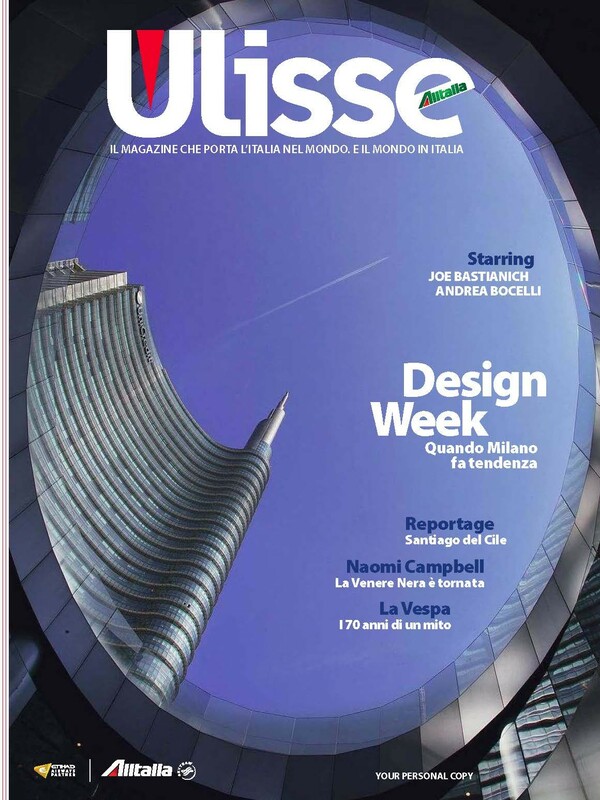 “Ulisse” is the board magazine of the leading italian flight company “Alitalia”. In its section concerning the most precious, rare and original creations around the world it reported a sensactional realization made in collaboraton with VBS. Artistic innovation and technology sometimes unite to give birth to majestic craft works of technology. 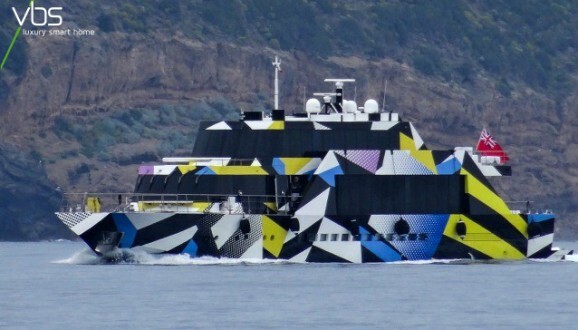 This was the case of the “Guilty”, the luxury yacht drawn by Jeff Koons, that has determined the formation of a landmark of elegance and engineering. Jeff Koons is currently world renowned as one of the most influent “neo-pop” artists, and in this particular creation which has been defined as his greatest masterpiece, he adopted a very particular drawing style that makes unique the boat among all others. The shipowner’s request to VBS was to design and realize systems integration of the technologies such as lighting scenarios, home cinema set, lighting control and digital data networking and storage. 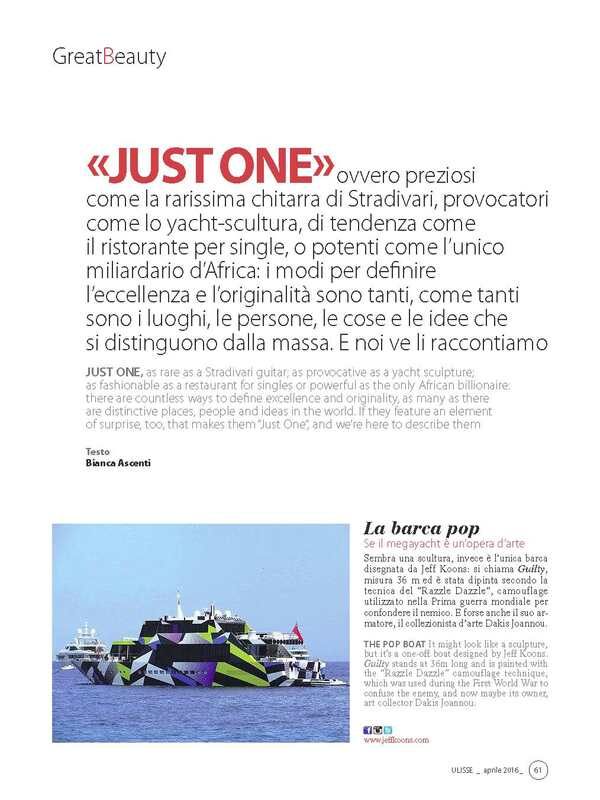 This collaboration allows an artistic jewel to sail the seas with the comfort of the most pioneering technology on offer nowdays.